Stunning Black Nickel table bases in a choice of three heights suitable for use with table tops 900mm round or square. Available from stock for a quick delivery. 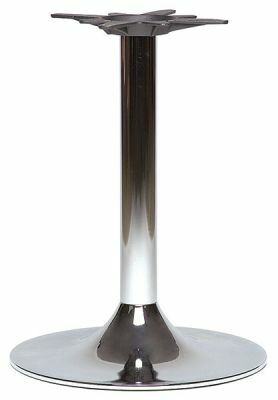 Smooth trumpet design table base complete with glossy nickel finish, available from stock with a choice of three standard commercial table heights, Coffee, Dining and Poseur height.